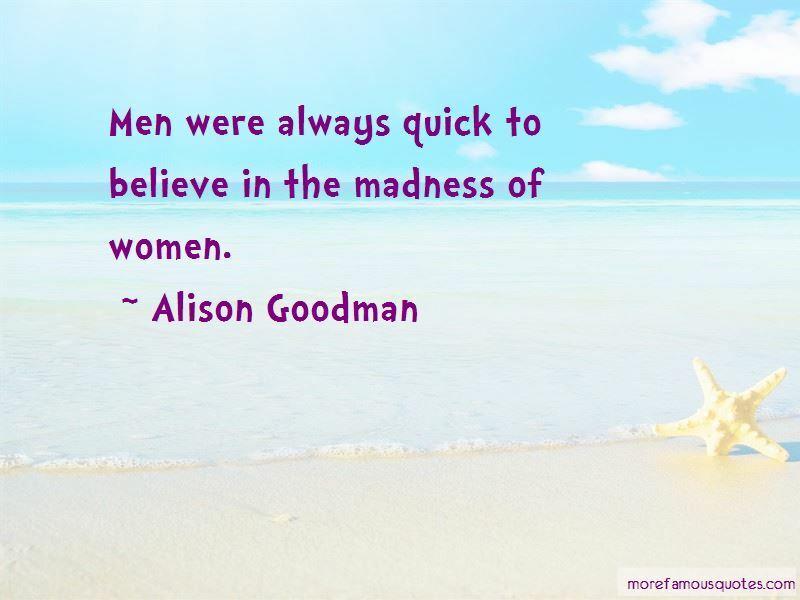 Enjoy the top 31 famous quotes, sayings and quotations by Alison Goodman. I watched him turn away and gather the clothes from the ground. He thought me courageous? But I was terrified - always terrified. 'No,' I said flatly. 'I don't. There was a saying that the strength of a man's steel was only known under the hammer of circumstance. If anyone had asked me a few hours ago, I would have said that nearly five years of boyhood had hammered me into constant fear and excessive caution. But now I realised it had done the opposite. It had shaped me into someone who stepped forwards and reached for what she wanted. It was too late for me to tuck my hands behind my back and wait like a good woman. “A cold realisation washed over me. From now on, my master would not always be there to protect and counsel me. A shrieking rise of power rushed into my pathways, rocking me against the wall. Ido's body slammed into mine. He was not going to let go. Not now. The Rat Dragon howled, his heavy blue force driven back by the onslaught of sinuous gold. Raw,rejoicing energy flooded my seven centers of power; opening,pushing, seeking. And behind it all, a presence exulting in the joy of release and reunion. I looked up and finally my mind-sight was clear. I could see the Mirror Dragon. My Dragon. Was the emperor apologizing to me? When the cycle of twelve draws to an end ... "
How brief and hidden were the moments of destiny. “Don't say anything. Just act cool," I whispered. 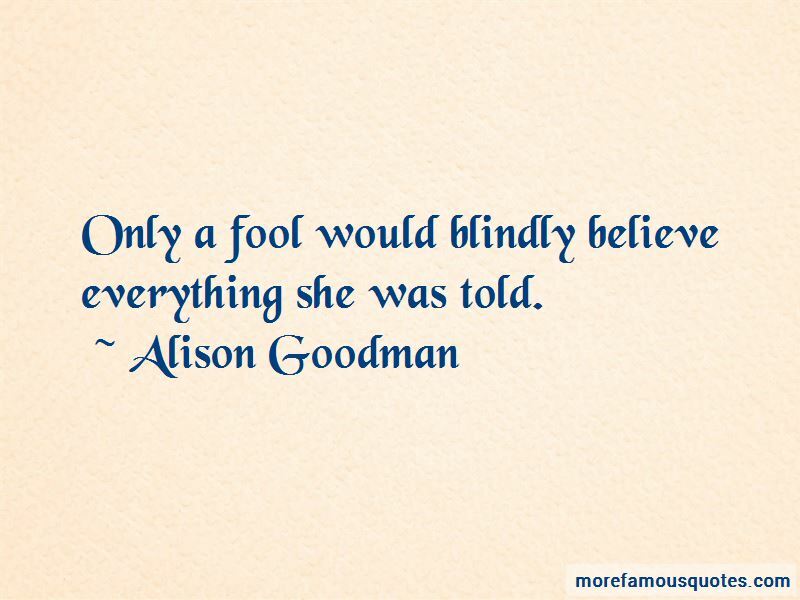 Only a fool would blindly believe everything she was told. “He gave me a message for you." She tightened her lips as if the words soured her mouth. "That you are in his blood." I looked down at the deck to hide the answering surge within my own blood. 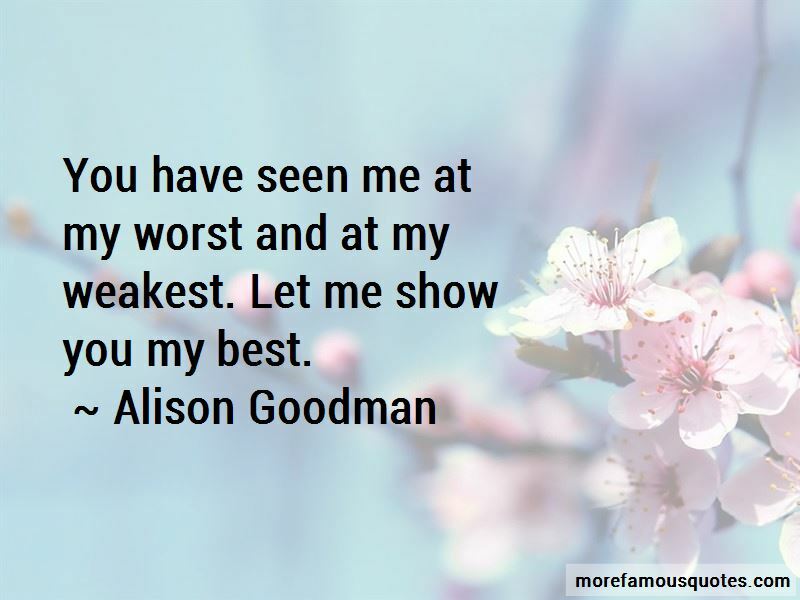 Want to see more pictures of Alison Goodman quotes? 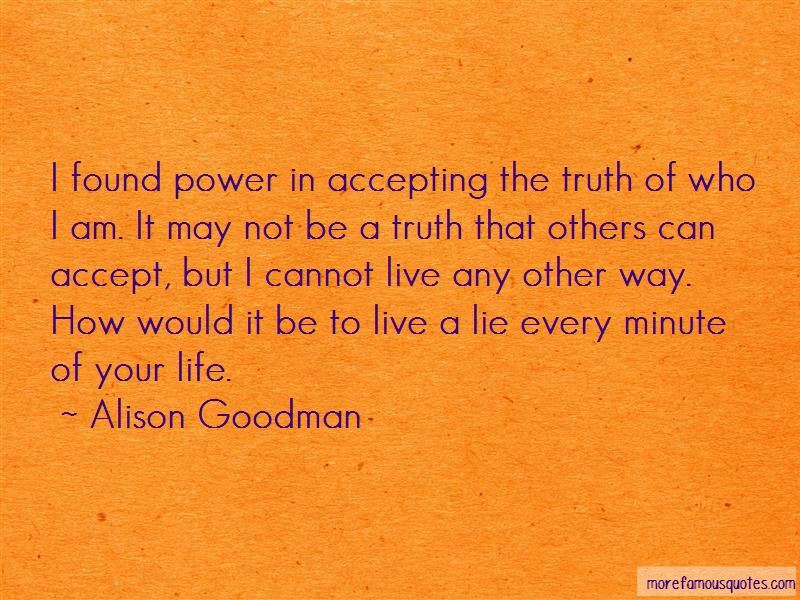 Click on image of Alison Goodman quotes to view full size.